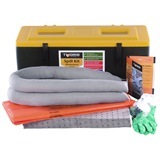 Tygris On-The-Go Maintenance Fork Lift Spill Kit is a small kit designed to be attached to a forklift via its metal rings and Velcro straps at the rear. 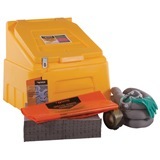 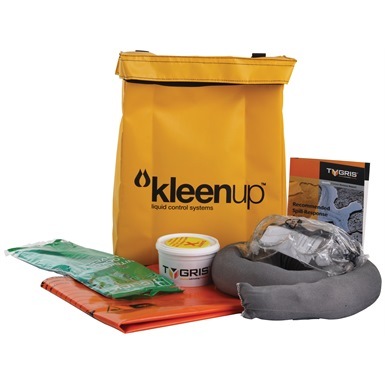 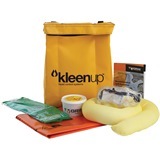 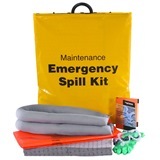 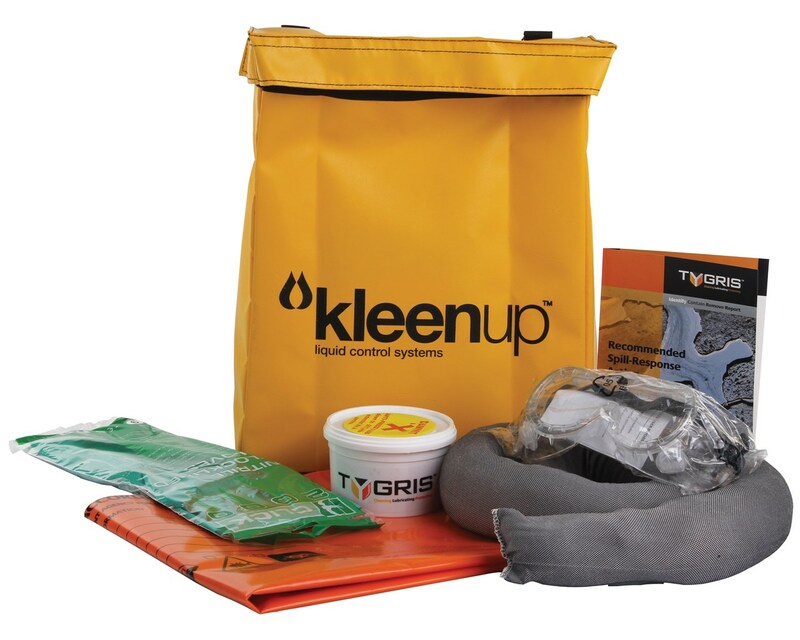 The kit comes in a Velcro-close vinyl bag, and it contains 10 absorbent mats, a 1.2 metre absorbent sock, waste bag, drum plug, gloves and goggles. 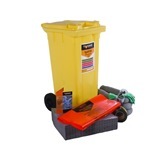 Vinyl bag attaches to forklift. 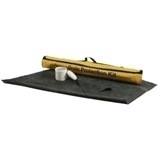 Not the oil spill products you were looking for? 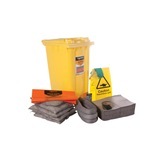 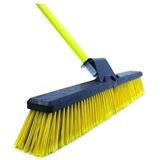 View more oil spill products or our entire range of cleaning chemicals.